I love to try different kheer. Since I use less sugar I always think kheer is part of a well balanced meal. My hubby and my 2nd son love kheer. 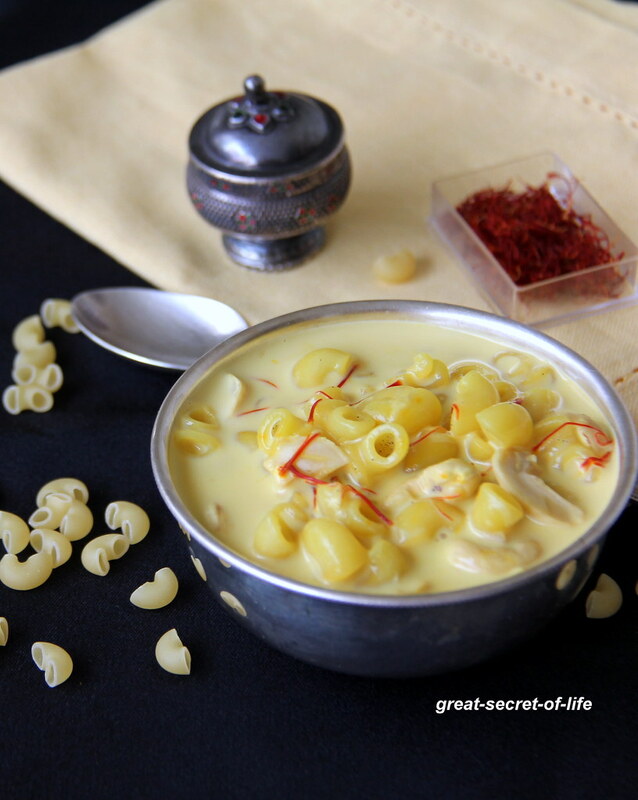 Sometimes I just do it for dinner yes your right, I don't need any special occasion to make a quick kheer. 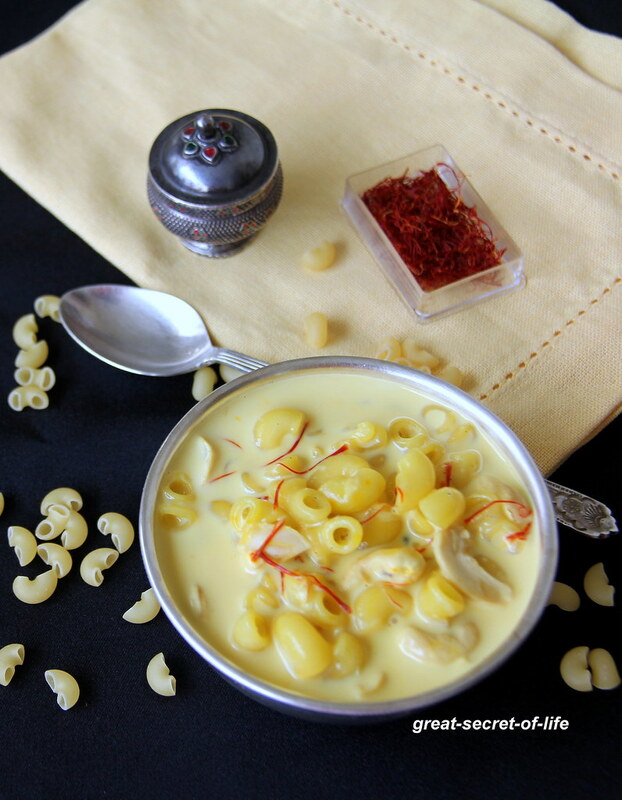 When I told my son I am going to make Macaroni kheer he told me it sound bit weird. But in the end he liked it too. 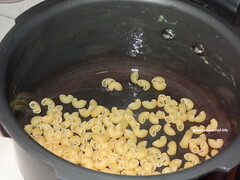 Cook macaroni 3/4th per instruction, Drain the water and keep it aside. 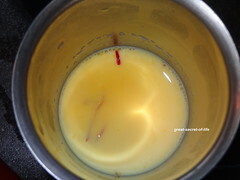 Boil milk when the milk is warm enough take 1/2 cup of milk and add saffron to it. Set side. 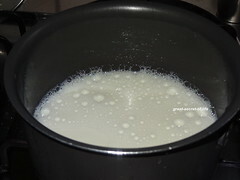 Continue to boil rest of the milk till it reduce to 3/4th. 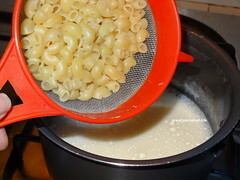 Now add cooked Macaroni and let it cook completely. 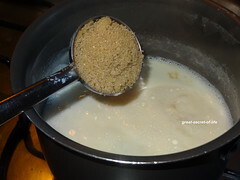 Now sugar and mix well. Let it boil for another 2 - 3 mins. 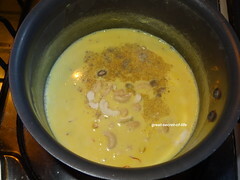 Add cardamom, saffron and nuts mix well. 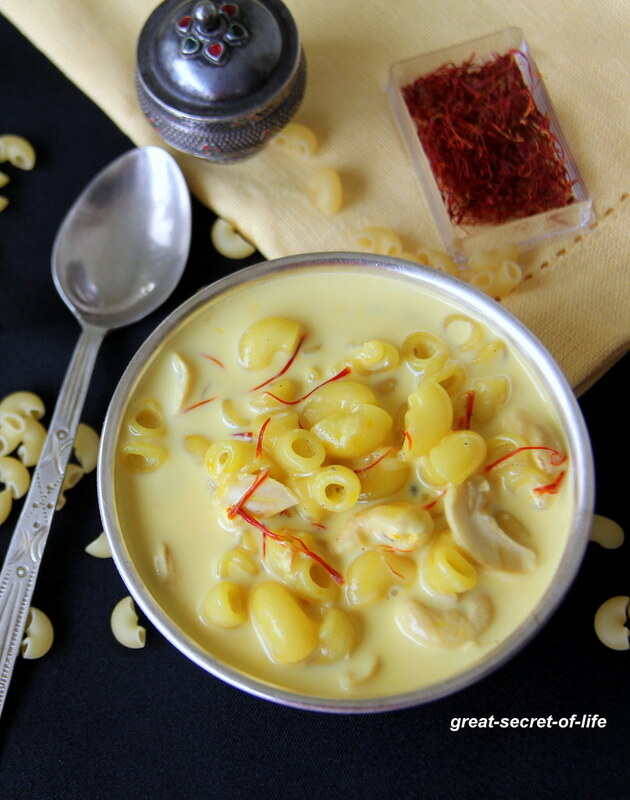 Wow .. Macaroni payasam.. sounds interesting.. Should definitely give a try..
curious about taste of this payasam...very nice color. 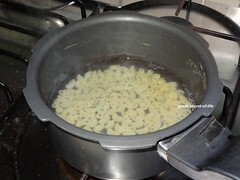 My kids love pasta and this would be a great recipe to prepare in this festive season to impress them.. Very interesting and tasy payasam!